Gartner in a recent report stated how growth is the most important sustaining factor for software product companies. Hardly 1% of software product companies have the consistent growth rate required to win business and stay afloat in the market. According to them growing and sustaining growth is really hard. For startup companies to grow it is always challenging as they are always in resource crunch scenario. Adding talent to the team on a regular basis increases their fixed costs. Product Development involves lot of iterations based on customer feedback and this could lead a startup company to be involved in the release cycle of products rather than on the consumer and market. For Startup companies to have a defined focus for their product, it better to choose outsourcing product development over in house team building, so that the company can focus on the customer and market. 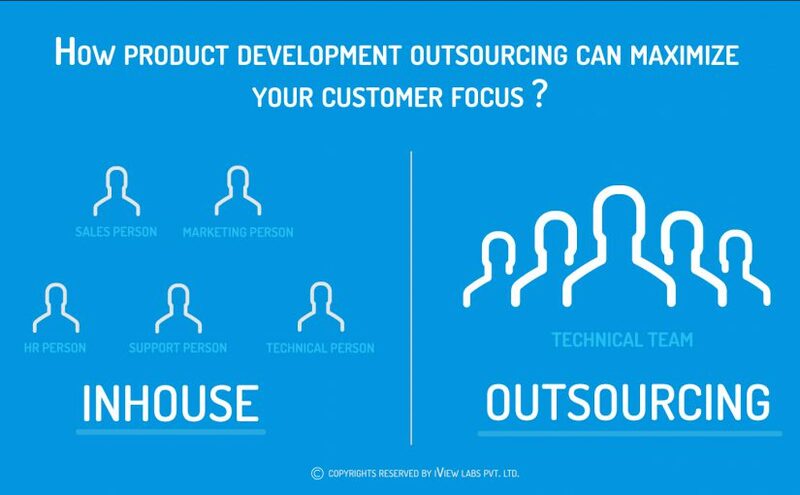 Following are the top 5 reasons for product development outsourcing. 2) Frees up time for customer facing work. 3) Updated with latest technology options. 4) Converting fixed costs into variable costs. Author of this post is CTO of iView Labs, who has helped many startups to build their products.